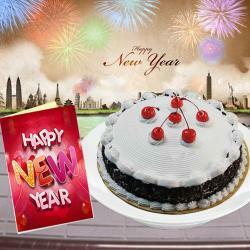 Product Consists : 1/2 Kg Eggless Pineapple Round Shape Cake along with New Year Greeting Card. 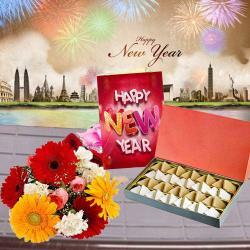 If you are looking for a gift that will make anyone elated on the occasion of New Year, have a look at the hamper that we have here. 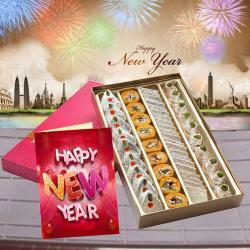 The hamper comprises of a half Kg eggless pineapple Cake along with one New Year greeting card. 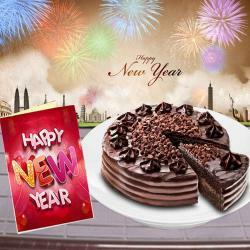 The New Year greeting Card will make anyone smile with stepping into the New Year. To your dear ones who prefer eggless version of Cakes, they will love the delightful delicacy of pineapple that we have here in the hamper. 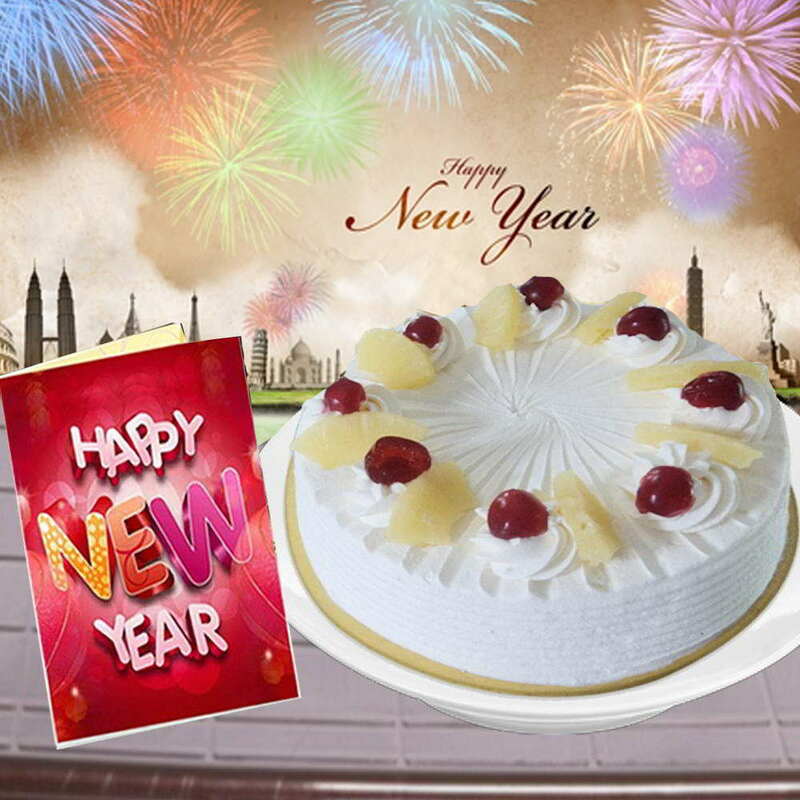 Product Consists : 1/2 Kg Eggless Pineapple Round Shape Cake along with New Year Greeting Card.